Jamie graduated from the University of Wales College of Medicine (now Cardiff University) in 2004 and has had the pleasure of looking after patients in private and public practices in both the UK and Australia ever since. He moved permanently to Australia and made Sydney his home in 2006. “ I think the Aussies have it right… Sun, Sea, Sand and Snags (gluten free and vegan if you are in Bondi). I almost feel like I’m on a permanent holiday and whenever I travel abroad, I feel excited to come home, not many people in the world can say that!’. 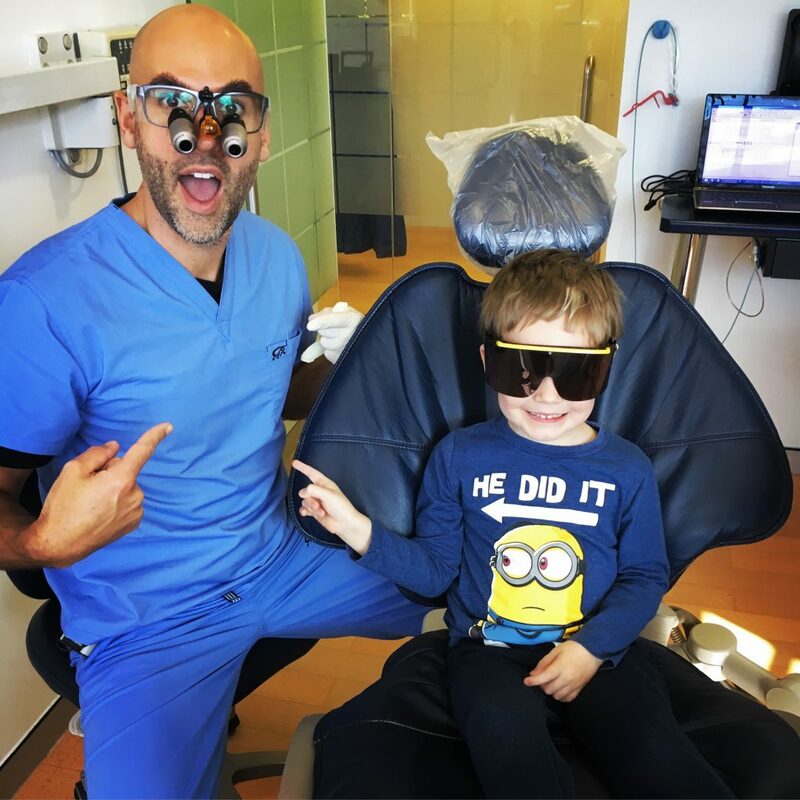 Dr Workman spent a very happy 10 years working at Dr PK Richardson Dental on Anzac Parade before the practice was sold and has now joined the excellent team at Maroubra Dental Centre, just metres down the road. Dr Workman is passionate about family and cosmetic dentistry. He adores treating children and they respond really well to his energy and enthusiasm. On the cosmetic side he focuses more on the minimally invasive aesthetic treatments and has a special interest in teeth whitening and the use of facial injectables to enhance the overall face and smile. Dr Workman has been involved in a number of ‘entrepreneurial’ activities on the side of his clinical practice. Most dear to his heart, is Jamiethedentist.com which took him 4 days a week for nearly 2 years to research and write and yes it’s in desperate need of a slap of paint. 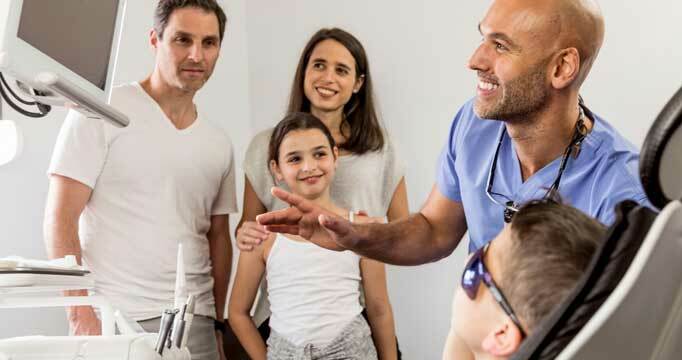 The website, which aims to help the general public with their dental questions and understanding of dentistry was getting 80,000 hits per month 2 years after its launch. Dr Jamie is very close with his parents, Mark and Marge who reside in the UK and visit for a month each year for some sun and quality family time. When not working in the dental clinic or building a website, he loves to travel, meet new people, play sport (especially soccer, tennis and padel), hang at the beach, go hike a mountain or just immerse himself in nature. He also fancies himself as a bit of a chef (having worked in restaurants to pay the bills during dental school) and regularly travels up to the Gold Coast to help out with personal development courses. Dr Jamie’s philosophy is one of empowerment and education. Most dental conditions are to a large degree preventable. If you understand what is going on in your mouth and more importantly why- then you will find yourselves in a much better position to make the changes that will make all the difference. The human body is the most incredible piece of machinery; all efforts should be put in place to create harmony and ‘enhance’, not replace what we’ve been given: the teeth, gums, mouth, jaws and skin are simply part of a wider system and optimising the mouth, can have a significant effect on our overall health. Since most dental treatments are irreversible, I am more reserved than most dentists with regard to cutting teeth. As such, prevention and protection are key factors in my patient care. When it comes to cosmetic procedures, the playing field is altered slightly as a patient’s desires and wishes need to be taken into account. However, I still take a long-term view, and as a trusted professional, I’m there to help, support and guide you through the maze; the suitability, risks and benefits of the procedures involved. Dr Jamie is not only an excellent dentist, but a genuinely caring human being. He is passionate and committed to helping every individual feel looked after and cared for to the highest standard. Whatever your needs and outcomes, he can work with you to achieve them. We believe trust and integrity are some of the highest values a dental professional needs to exhibit, and Dr Jamie has these qualities. We believe you will be very happy, if you choose him to look after you and your family. The Maroubra Dental Centre is a state of the art facility in the heart of Maroubra. We have 4 fully equipped surgeries and employ the latest in dental technology including an OPG and 3D Cone beam X-ray, Intra-oral and extra oral photography, computerised data protection systems and a 3D digital scanner for digital impressions. We also offer InVisalign treatments to correct mis-aligned teeth. We use the latest materials for bonding and filling teeth and have an in- house laboratory downstairs that makes all of our crowns, bridges and dental implant restorations. Strict sterilisation procedures are followed throughout the practice to ensure the full protection of our patients. We have 3 experienced dentists including myself and regularly put our heads together to plan more complex treatments; ensuring you really do receive the best care. Additionally, we also have a visiting dental prosthetist for any denture work and an oral surgeon for implant placement and wisdom teeth extractions. We partner with industry leading suppliers and manufacturers to ensure all our systems, equipment and materials give optimum care to all our patients. All our facial cosmetic injectables are purchased through approved Australian suppliers in conjunction with AADFA. We have also developed close relationships with all of the reps to ensure we stay on top of the latest developments in the industry, thus providing you with the best possible treatments. We are very fortunate to have an in-house laboratory, downstairs and we work closely with their talented technicians to make sure your restorations are of the highest Australian quality. Occasionally we may need to use other laboratories- when we do we only work with Australian Labs who have an excellent long term history, ensuring all our work is made here on shore and not outsourced to Asia, where the quality can’t be guaranteed. We look after many patients in Maroubra and the surrounding suburbs but we also have patients travel considerable distances to come and see us, even interstate! We look after every background, culture and age, caring for multiple generations of families, treating infants, children, teenagers, adults and seniors.